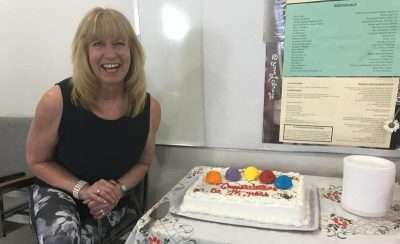 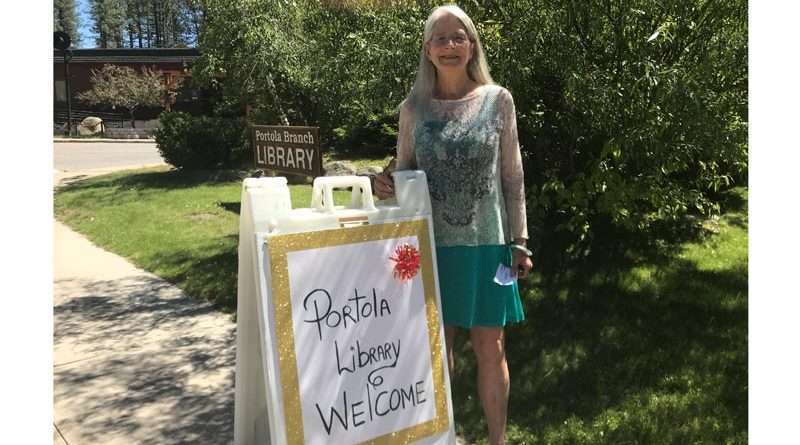 Susan Wilson welcomes the public to the Portola Library’s 25th anniversary celebration. The library is located on Third Avenue in Portola. 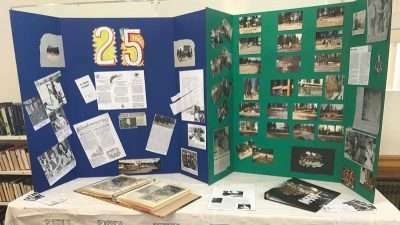 A display table in the Portola Library meeting room gives a timeline of the library’s construction, which began in 1993. 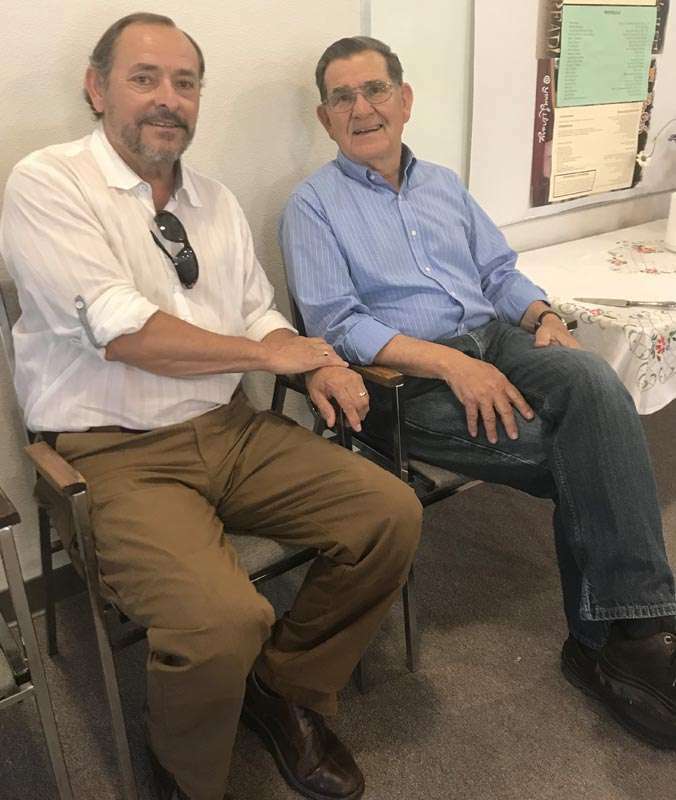 District 1 Supervisor Mike Sanchez, left, visits with Portola Friend of the Library member Jerry Williams during an anniversary celebration for the library June 13. 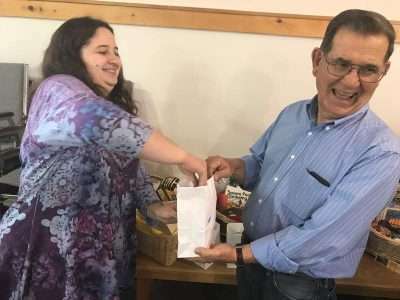 Plumas County Librarian Lindsay Fuchs pulls a winning ticket from a bag held by Jerry Williams, a Friends of the Library member.